We are delighted to be able to share the news that one of our talented artists has won the Benno Shotz Prize at the annual Royal Scottish Academy Summer Open exhibition. The prize is for the 'most promising work by Scottish Artist under 35'. 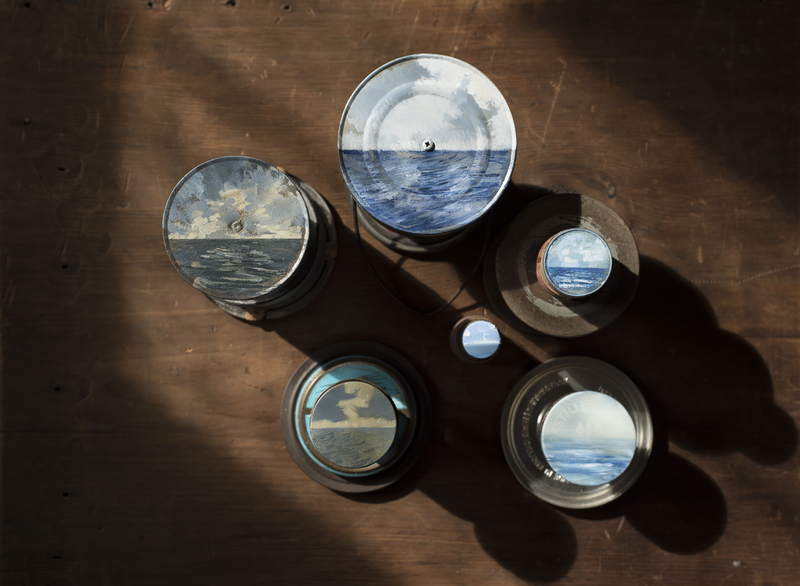 David Cass entered a piece named Porthole Projections. Made from stacked and screwed vintage cylindrical objects — from 8mm ciné canisters to shoe polish tins — the artworks are quite simply a series of portholes projected at varying heights. Built to be displayed on either wall or plinth, in each arrangement the cast shadow is key.